Looking for the ideal solution for your auto-restoration? Automotive abrasive sandblasting is the safest and most cost-effective way to strip your restoration project back to bare metal ready for bodywork and paint. Avoid the messy chemicals, paint strippers and save yourself hours of work. Abrasive blasting is commonly referred to as ‘sandblasting’ or ‘media blasting’. Using high pressure, the abrasive material is thrust against a surface for restoration; for example, smooth a rough surface or vice versa, remove contaminants from a surface or shape a surface. Abrasive sandblasting your automotive parts will bring your car, truck, trailer, bus or motorcycle back to life. At ProStrip Sandblasting, we work with industry-leading commercial and industrial blasting materials and state-of-the-art equipment to fine blast your vehicle according to suit the job requirements and minimize waste. Our licensed and qualified team of automotive abrasive sandblasting experts in Melbourne are able to personalize your needs by drawing on specialized knowledge about the various abrasive sandblasting techniques available for the automotive industry. There is a large gap in the market for classic car restoration. This is why ProStrip Sandblasting is one of Melbourne’s favourite classic car abrasive sandblasting services. Our abrasive sandblasting process on classic cars are rigorous. This is to ensure a complete, detailed restoration. Depending on the requirements of the job, we disassemble the vehicle in order to prepare it for stripping and fine abrasive sandblasting back to its true solid foundation. After inspecting the blasted surfaces, we proceed with cleaning or removing all contaminants from the classic car’s surface, engine and/or vehicle parts. We offer specialized classic car, car parts and engine restoration services for your vintage car, using industry-recognized materials to repair parts, provide a new paint job, welding and many more. Whether you are a car-savvy restoration fanatic, an industry professional seeking help with equipment maintenance, or a motorcyclist with a bike that is looking a little worse for wear, we can offer the services you need. Does your car need surface preparation for a new finishing touch? 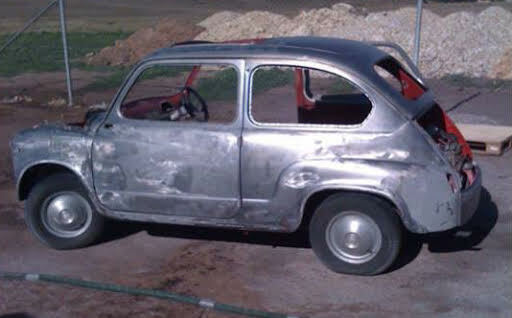 ProStrip Sandblasting is Melbourne’s leading car sandblasting services. We can prepare your vehicle for a fresh coat of paint with our car paint stripping services. Your everyday vehicle will be ready for a new colour in no time. Our capability extends far beyond how to get paint off a car, though. If you want your car to be restored to its former glory, but your automotive restoration project has hit a wall of rust, sandblasting a car using abrasive sandblasting media is the most globally recognized way to restore your car. Our car sandblasting service offering includes removing rust, primer, old paint, body filler, and more personalized according to your car refurbishing needs. Your vehicle will be ready for a new paint job quickly, and our skilful blasting ensures your car will not be damaged in the process. Finally, as experts in car parts restoration, not only can we blast your car using high-quality car stripping media, but we are able to sandblast just about everything under the hood of your vehicle. Whatever your car cleaning, surface preparation or restoration needs, ProStrip Sandblasting’s car blasting procedures can deliver. ProStrip Sandblasting’s abrasive blasting proficiency extends past the everyday modes of transportation. Motorcyclists can also enjoy a clean, sandblasted ride with our full range of motorcycle sandblasting services. Whether you require motorcycle engine sandblasting, sandblasting for your motorcycle parts, or your bike surface has taken more of a beating and you need to restore the frame of your motorcycle, ProStrip Sandblasting can help. Our sandblasting services can remove old paint, primer, and rust, leaving your motorcycle ready for a sleek new paint job or any further restoration. Our abrasive automotive sandblasting services are efficient and effective, so you can be back on the road in no time. If the condition of your motorcycle needs attention, ProStrip’s motorcycle sandblasting can give you everything you need to restore your motorcycle and its parts back to its original foundation. Contact ProStrip Sandblasting to inquire about our automotive abrasive sandblasting services in Melbourne today!